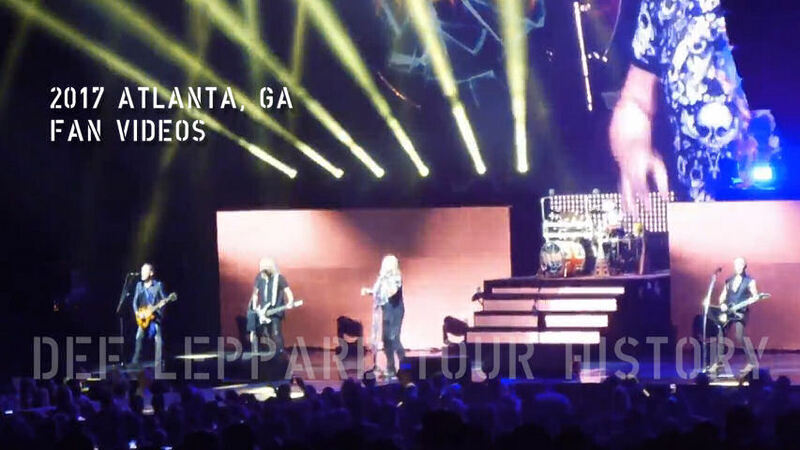 Def Leppard played another show on the 2017 North American Tour last night in Atlanta, GA with 17 songs performed. The band's first time in Atlanta since 12th August 2016 on the Summer Tour 2016. The 23rd show the band have played in Atlanta and tenth time at this venue. The shows since then in 2007, 2009, 2011, 2014, 2015, 2016 and now 2017 have all taken place at Lakewood Amphitheatre. 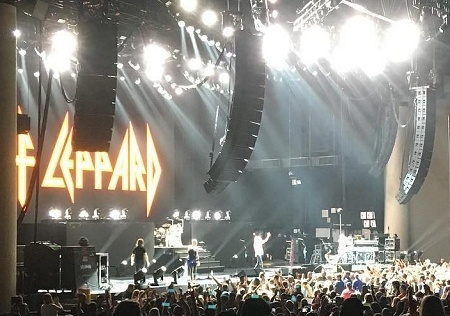 The 2015 Def Leppard triangular logo curtain was used instead of the album cover design at the start of the show. "Atlanta, Georgia!. Thanks for having us. Thanks for coming. Thanks for being here. We love you guys. We'll see you again. Goodnight." The next show takes place on 5th May in Charlottesville, VA.